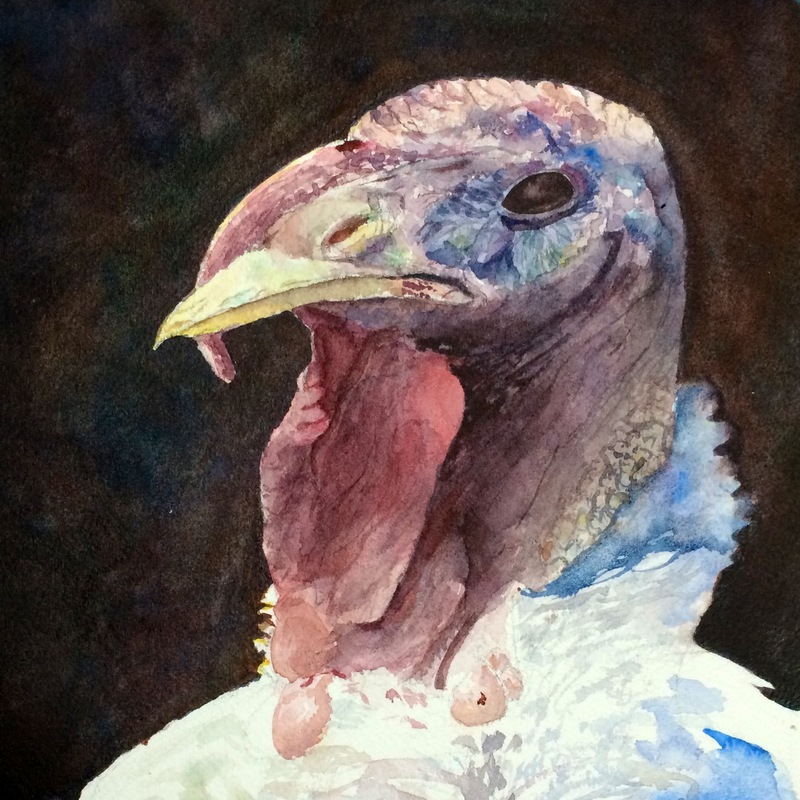 My wife and I got some time to paint side by side for once, and I pushed this turkey a little further, darkening the neck, painting the odd bumps on the side, and modifying the shades feathers behind the neck. Is it done? This is the most detailed watercolor I’ve done, so it’s hard to say. If this were a landscape I’d leave it as is. Time to start something else and let this one sit for a while. This is phenomenal. Really beautiful. fantastic but he needs some warmth and a highlight in his eye. The details and colors are good. Based on the photo and assuming it’s accurate, the only thing I think keeps it from being done is just that the body is so starkly light. I don’t think the body needs any more details or that the white areas can’t stay, only that the bottom would stand out less if each of the strokes roughly describing the body were darker. Yeah I see what you’re saying. Thanks! Fabulous! I don’t want to eat it, I want to pet it! Great job Corey and Katie.